Steward of Savings : FREE It’s a 10 Miracle 2 oz Leave In Conditioner Sample! 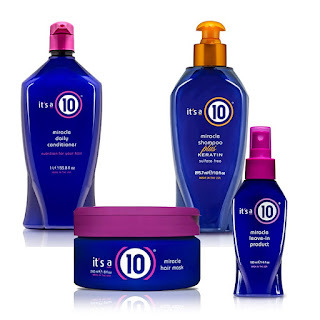 FREE It’s a 10 Miracle 2 oz Leave In Conditioner Sample! Request your FREE It’s a 10 Miracle Leave In Conditioner while supplies last, simply add sample to your cart, then use promo code HAIRFREE01 or HSA10 at checkout to redeem offer and expect your freebie in 4-6 weeks! If the promo code is not working, you'll need to do the two-step process!